Pros: friendly staff, wonderful breakfast buffet, private parking and good facilities. Cons: the only one which is not that important to me, is that the room furniture is little outdated. Very quick checkin. Fast wifi. Clean rooms. and very courteous staff. Second time staying with them and everysthing was good. Don't let the price fool you, this is a nice hotel! I needed a place to stay between a long layover, so I booked something close to the airport and cheap. Didn't actually expect the hotel to be this nice. I would have no problem staying here again under any circumstances. Actually, I'm willing to bet I will book this hotel next time I travel to Dubai. I have tried different hotels here in Dubai, but this hotel never failed to impress me..h As soon as you enter, bellboy will help you with your suitcase, and what impress me are the receptionist, they have this positive energy and will great you with a smile, well lets be honest, receptionist in hotels in Dubai are not so welcoming! And I've seen worst, but they are different.. They will welcome you with a cold drinks, which really help coz its freaking hot outside, and in the afternoon they knock and bring complementary sweets thats perfect for the tea in the room, . Checking in was fast and they leave you with a smile, going to the room is just great, it is clean and very cosy, feels like home.. It is a walking distance to city center metro and near to city center mall. I just love this hotel. For 3 days I've stayed its just a always amazing. 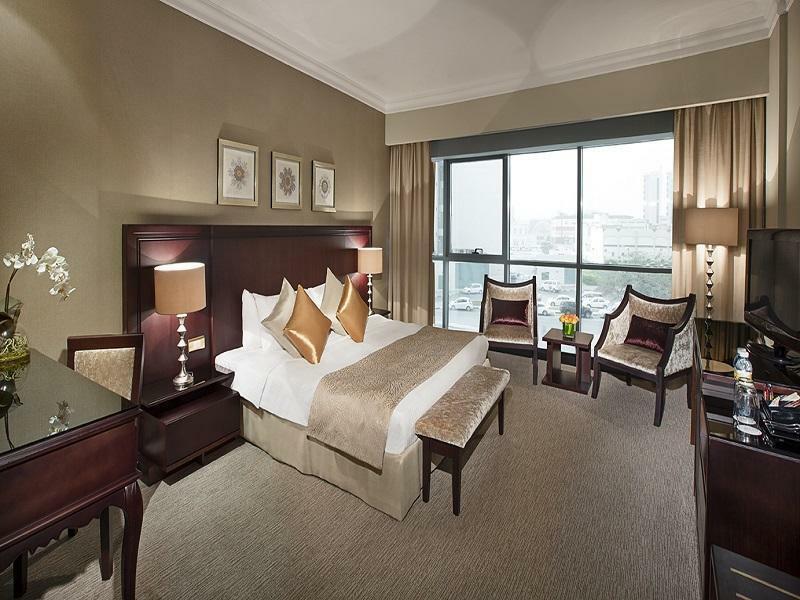 The hotel is conveniently located nearby to airport, there is also Metro station nearby and a shopping mall nearby. However, there is less restaurants and travel spot nearby, it is good for business stay, but not leisure purpose. The hotel is located nearby to airport. 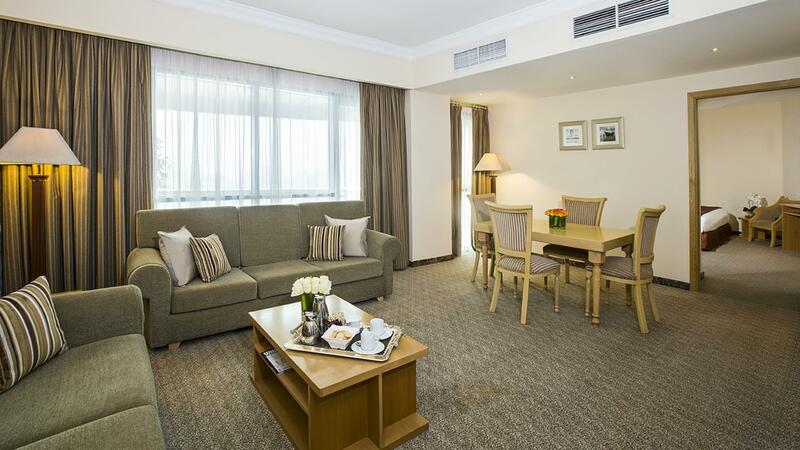 The Deira City Centre is only 500m away, and you can easily access to Deira City Centre Metro station as well. Staff is friendly, and the wifi is free for unlimited number of devices with stable connection. Hotel was really Nice and clean with really good facilities. Staff was helpful and room service was nice and quick. They need more restaurant options within the hotel since you have to walk a bit for extra choices. The basement parking had a kinda small entrance with annoying turns to go through. 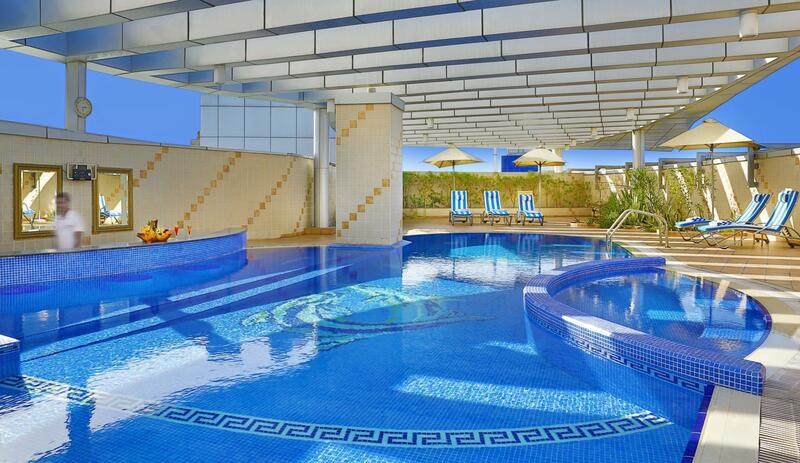 But otherwise a really good Hotel with nice gym and swimming pool. AC noisy . Restaurant noisy . Overrall cleanliness was very average, had to request clean towels everyday. One of the staff at front desk was not very welcoming at check in, whereas other staff were friendly. Room is good . Bed is comfortable to sleep. Strong WiFi signak and very cold AC. Staff went over and beyond to help. Hotel was lovely with nice spacious rooms but it was noisy at night as there was a building site across the road which must of worked at night. However would stay here again! สถานีรถไฟใต้ดิน Burj Khalifa - ระยะ 0.53 กม.